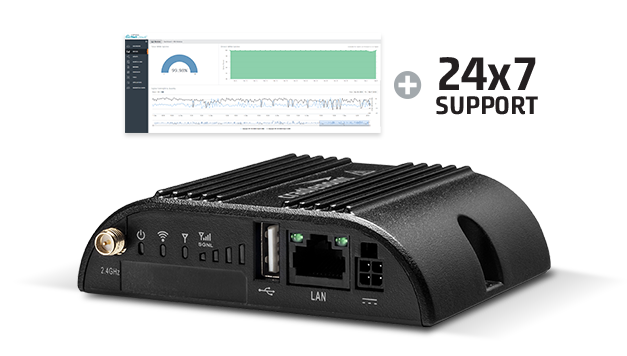 NetCloud Solution Packages with the compact, semi-ruggedized COR IBR200 LTE router are designed for secure, cloud-managed IoT networking. 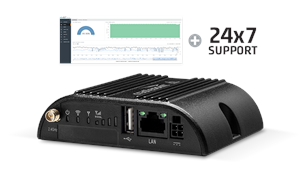 The COR IBR200 enables use of low-cost M2M/IoT data plans from cellular carrier/operators, and with NetCloud Perimeter, addresses the biggest gap in IoT: security. Upgrade to NetCloud Advanced for additional features, including: Remote Connect / Out-of-Band Management, Advanced VPN and tunneling, and location-based services.